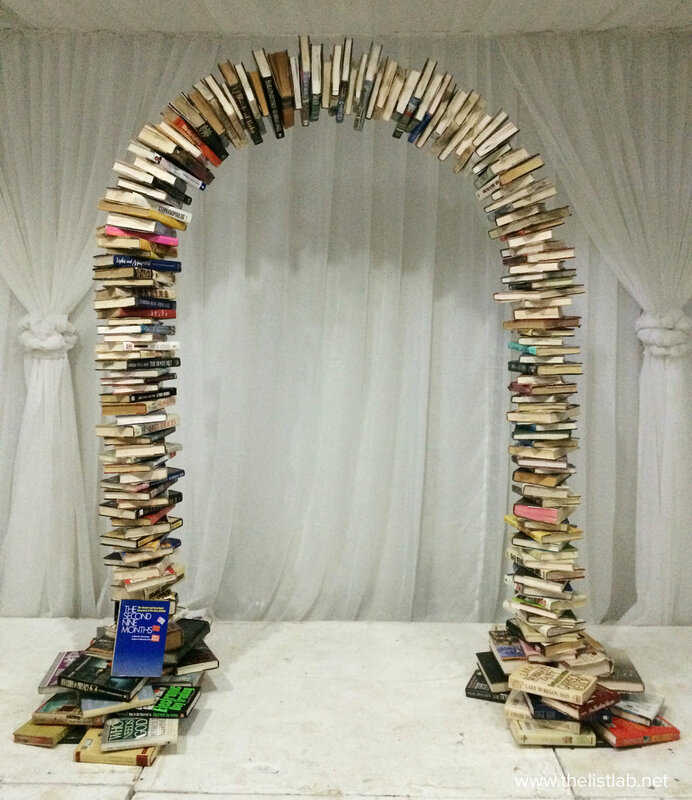 We made something special for my best friend's literary themed wedding - a 7ft book arch! This won't be possible without my father's help in conceptualizing and working on this project. Thank you, Pa! Also, thanks to my husband, who helped on installing this at the venue. 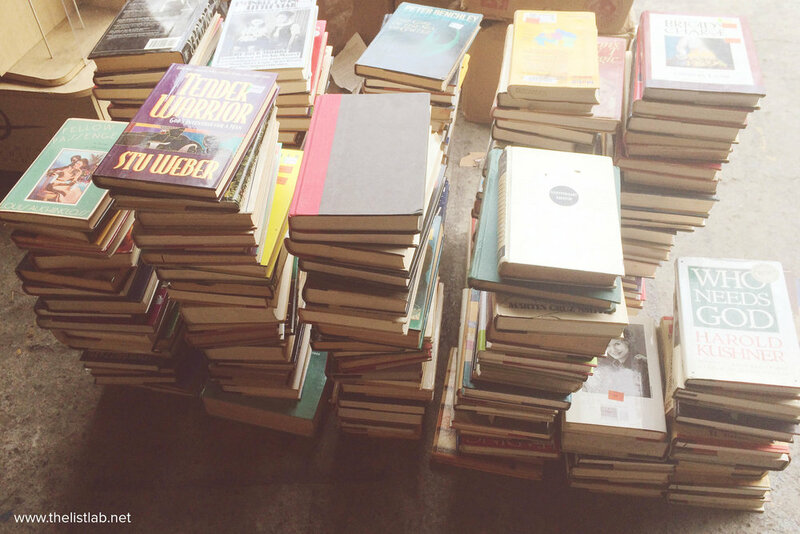 We bought some (okay, 200 pieces to be exact) books from a book warehouse. These base frames were built by welding pieces of metal and the arch frames were made from bended metal (approx 1.35m wide x 2.1m high). Two holes were drilled on each book. 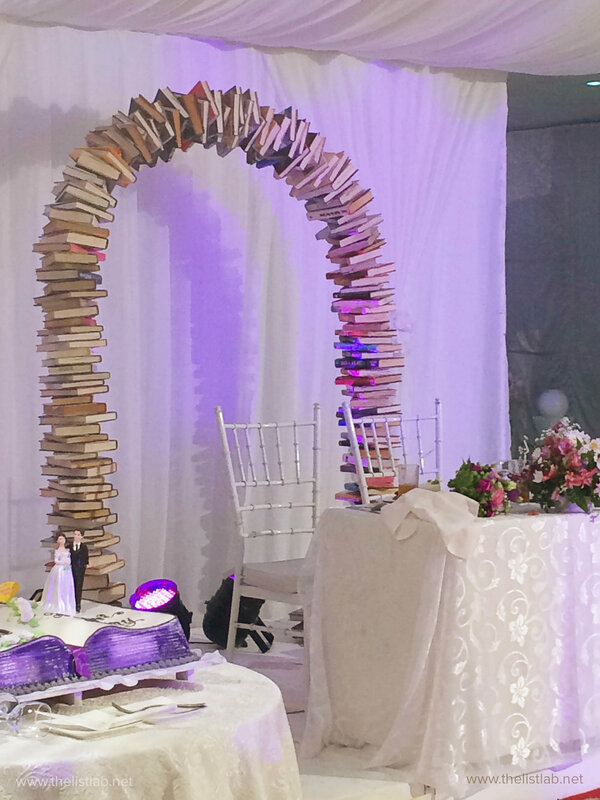 And the books were arranged on the arch frames side by side. This was done while the frames were laid on the floor with a support for book height allowance. My dad cleverly made 3 different types of of book hole locations so when the books were arranged on the frames, they look randomly placed, not aligned. The base frames were attached at the bottom by inserting their holes in the arch frames. Important note: 4 strong men's help were needed to do this. 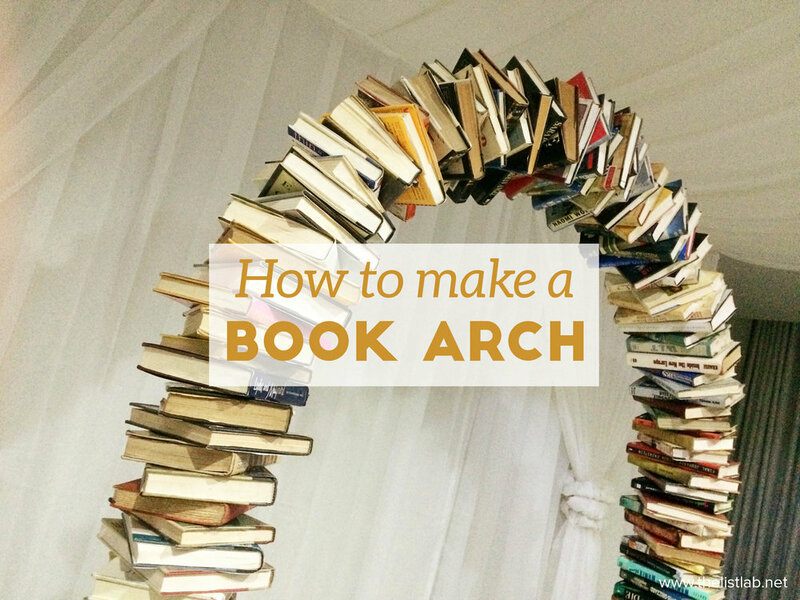 Finally, more books were arranged at the feet of the arch to cover the base frames. My best friend cried tears of joy & surprise when she saw this at the venue. Oh, we're so proud & happy we actually pulled this off!